Learn about our neighborhood at Springs at Knapp's Crossing. Click to learn more about the Springs at Knapp's Crossing pledge. Now Leasing - our team of experts is looking forward to meeting you! Bordered by thick beautiful trees and rolling green lawns, Springs at Knapp's Crossing is ready to welcome you home. 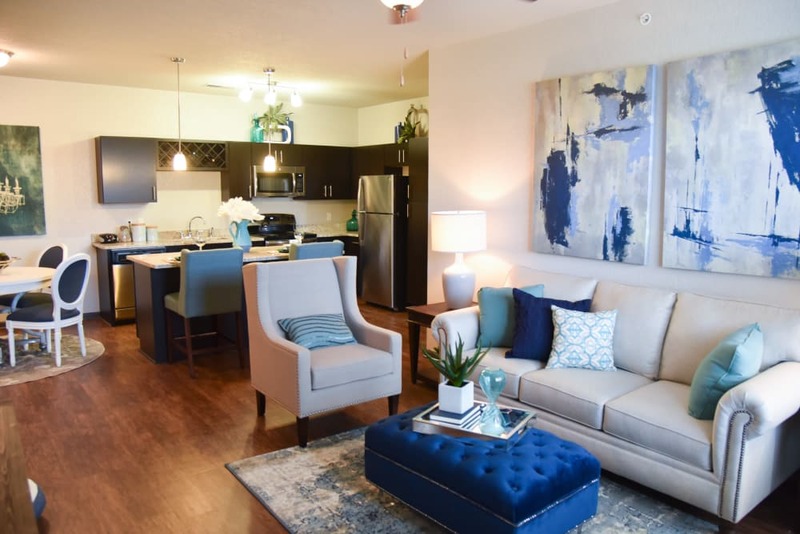 At our luxury community in Grand Rapids, Michigan, we offer Studio, 1, 2 & 3 bedroom apartment homes, so you’re sure to find a home that suits your lifestyle. You deserve to indulge yourself with conveniences like valet trash, in home washers and dryers, ceiling fans and attached or detached garages. 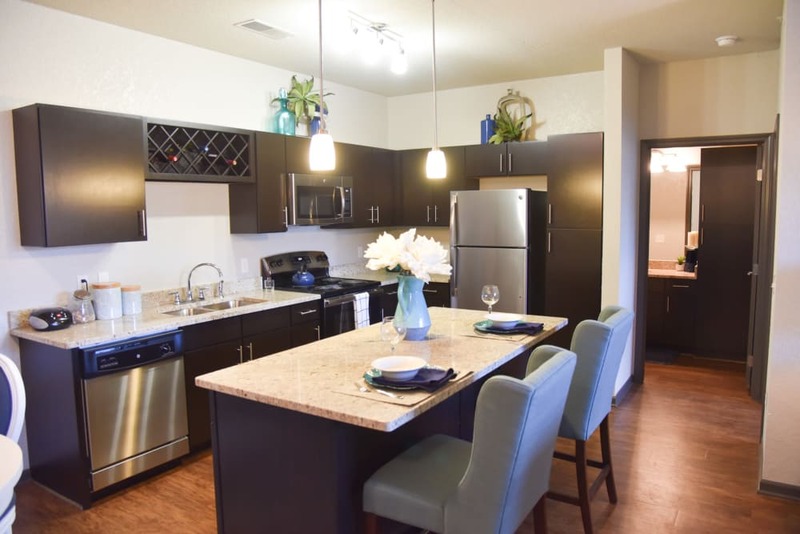 Our open-concept floor plans feel bright and airy, with 9’ ceilings and sleek hardwood-style floors. Springs at Knapp's Crossing knows how important your pets are. That is why we welcome large breed dogs with no weight limit, and provide them with a place to play with agility equipment. We even have a pet spa area attached to our complimentary car wash.
Additionally, Springs at Knapp's Crossing features state-of-the-art community amenities. 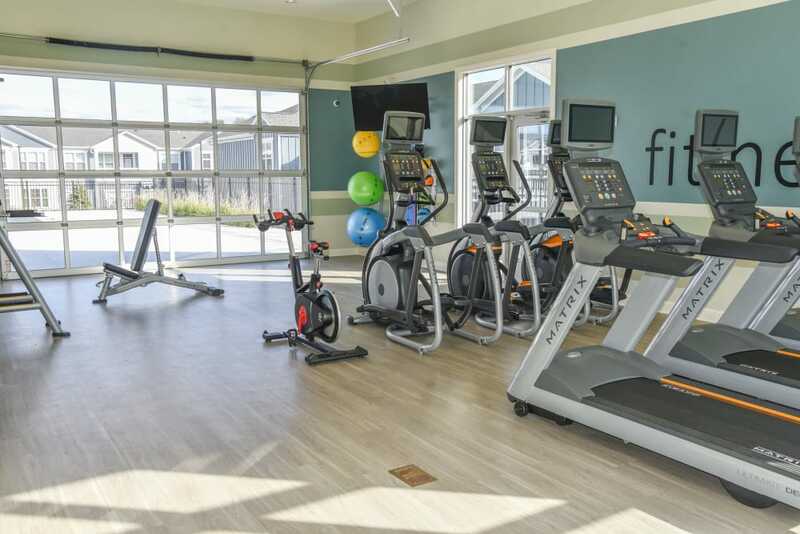 Test your strength and agility at the 24-hour fitness center, and let the stress melt away while you lounge at our resort-style swimming pool. Springs at Knapp's Crossing is your home for modern Michigan luxury. At Springs at Knapp's Crossing, great customer service means wonderful and personal greetings, well-maintained grounds you can be proud of, quick and quality maintenance resolutions, and timely follow-up from our team. You can always count on us to listen and be accountable. We love your pets at Springs at Knapp's Crossing! Springs at Knapp's Crossing is perfectly positioned in a beautiful neighborhood in northeast Grand Rapids, known to locals as The River City. We’re ideally located near the Frederik Meijer Gardens where you can catch a summer concert, or visit the sculpture and flower gardens all year round. For weekly grocery trips, you can stop by Meijer or ALDI, and shop for unique items at Kingma’s or the Downtown Market. You’ll also love our proximity to Provin Trails where you can walk the miles of interlocking hiking trails through thick Michigan forests. Plus, we’re conveniently located near I-96, so commuting to local employers like Spectrum Health and Meijer is a breeze. If you and your favorite pet are searching for a pet-friendly apartment in Grand Rapids, MI, look no further than Springs at Knapp's Crossing. We happily invite cats, dogs, birds, reptiles, fresh and saltwater fish, small furry animals, and most exotic pets to our luxury apartment homes. 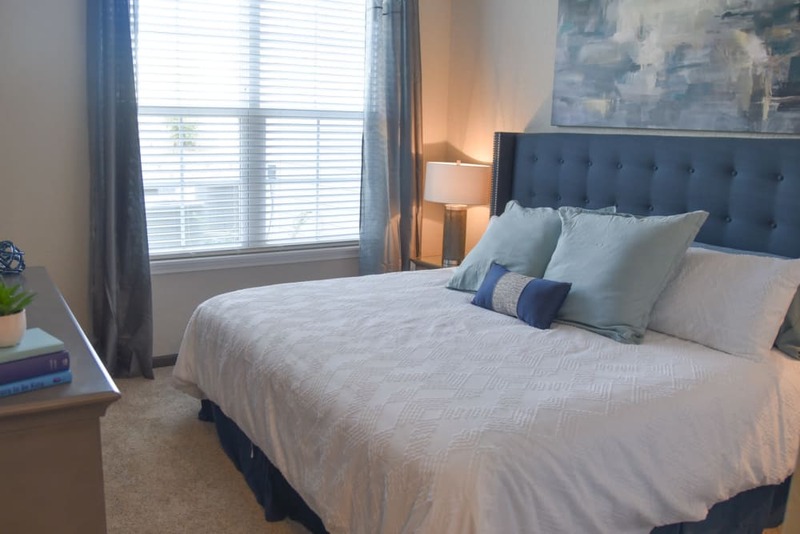 Relax together in your open-concept Studio, 1, 2 & 3 bedroom apartment, maintained at a comfortable temperature with your central heating and air conditioning system. Then take a nightly stroll to our fenced off-leash dog park where your pup can run and play with the other dogs in the neighborhood. If she runs through a mud puddle, stop by the pet spa station for a swift rinse. Let Springs at Knapp's Crossing welcome you home to luxury. 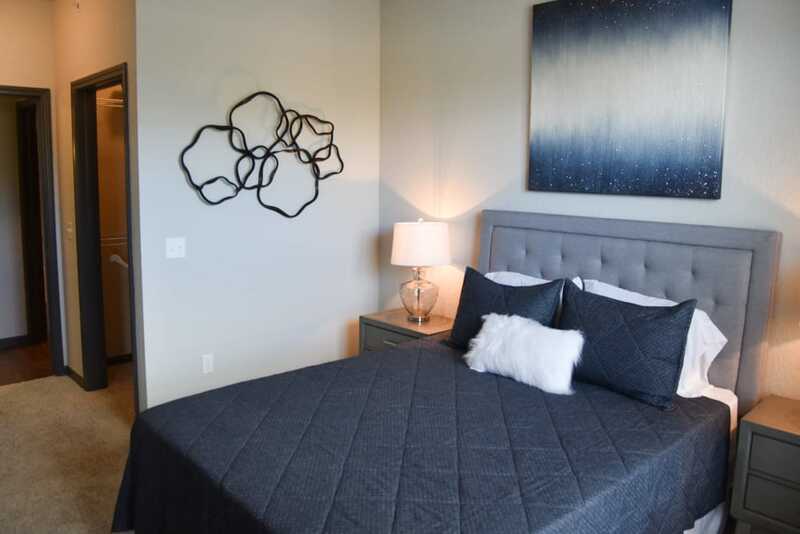 Call today to plan your tour of our apartments for rent in Grand Rapids, Michigan.